Lightweight, easy to use and fold, and works for infants and young children! Most versatile and easy to use stroller ever!!! ProsLightweight Compact Easy to fold Ages 0-5+ Lasts forever! Just replaced mine that was a 10yr old hand me down- only replaced it because it was stolen!!! ConsA bit spendy but totally worth it! I have been contemplating whether or not to purchase another stroller because we are traveling to Europe for vacation. I am very happy with my purchase thus far. My 22 month old seems to enjoy the stroller as well. The only reason I gave it 4 stars is because I haven't had it that long and I want to see how it holds up in time and with our traveling plans but overall I am very satisfied and glad I bought it!! I ordered this stroller on March 1st and it arrived on March 3rd. Excellent quality material, not too heavy, it brought the rain cover, the cup holder and pouch. It reclines completely for my 7 month old, it has the extended leg rest and a hidden extra mesh cover for babies legs underneath, the umbrella is amazing and easy to install. I almost got it on another website for $80 more but thank God Albee Baby sent me an add just when I needed it. We took baby out in it and she was super comfortable in it. We are very pleased. We had this stroller for a few weeks but so far we are very happy. Living in New York, I was looking for a light weight stroller that would be easy to use on subways and trains. It is perfect I love that its so easy to use. I can fold the stroller with one hand. I also can recline the seat with one hand. 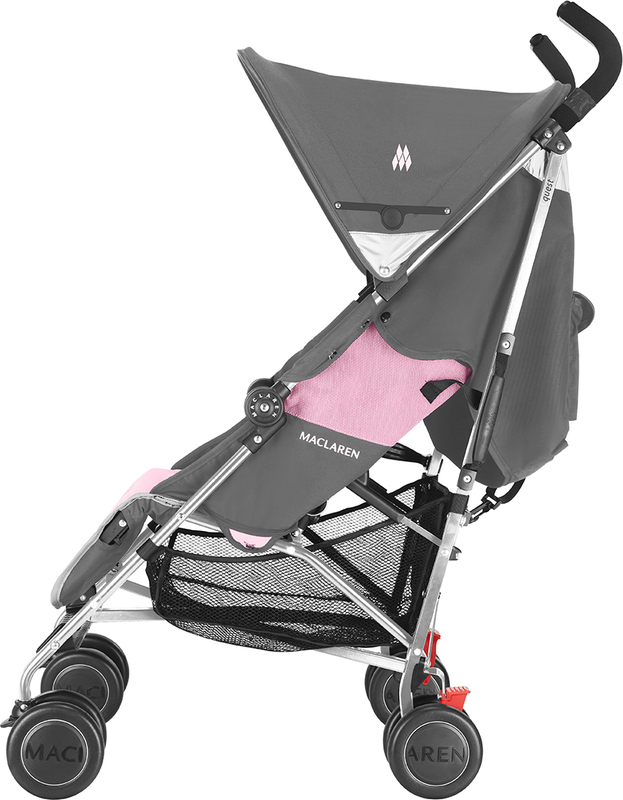 IEtmm so glad that the model of this stroller is the 2016/2017 model because I love the large canopy. The best in collapsible strollers. 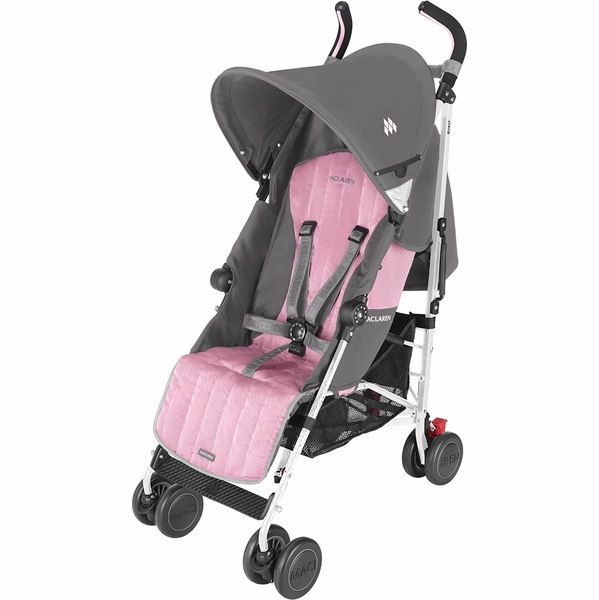 Safe and comfortable for child, easy for the grownup pushing& stowing it. Fire safe! And good for air travel. I have it for 6 months and it's PERFECT. Reclines all the way back and also many other positions. The feet also recline good for my 2yrs old when napping feet don't hang down. Closes easy, can clean easy and most important easy to manage by far the best stroller. 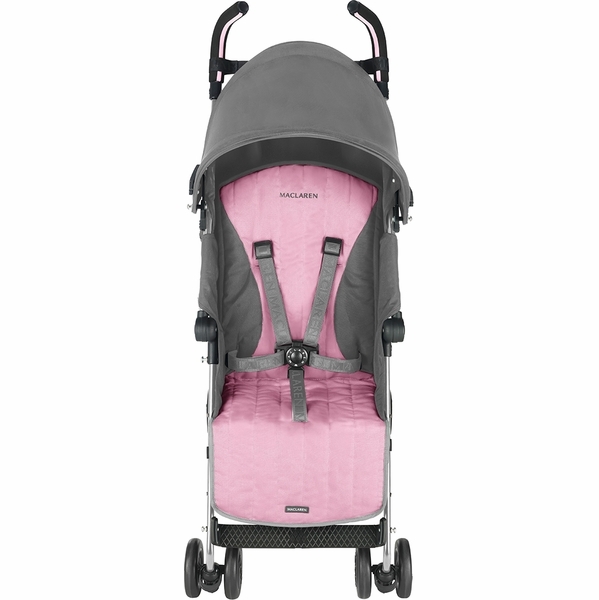 Maclaren strollers are my favorite and the Quest Sport is everything you could want. Reclines almost completely flat. Baby is comfortable with plenty of space. Great storage space for Mom & Dad. Easily handles one hand steering and narrow spaces when shopping. We love it. Best UsesEveryday Stroller. Travel. Errands. Exercise. Nice stroller. Like the adjustments you can make to recline. Easy to unfold. Light stroller and easy to carry. We love the stroller. It's not heavy or bulky and our daughter is comfortable in it, both sitting up and when she falls asleep. 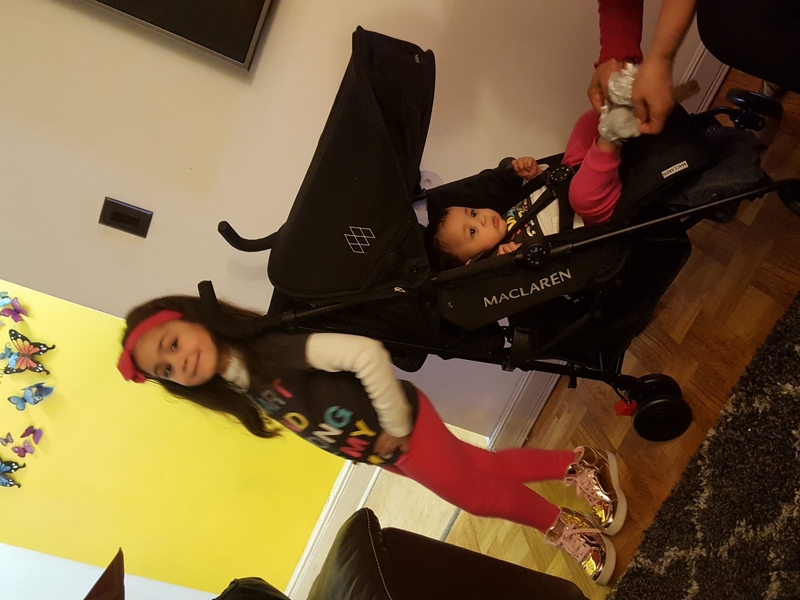 Love this stroller, was looking for a Lightweight stroller that folded small. Perfect for running errands and travel. I highly recommend this stroller if you have a small trunk. Also, Albee baby is the best, we've used them for years for our 4 kids baby gear needs, and they've never let us down. I purchased this storller as a second stroller. I was thinking to use this for travel but it turned out that it can be my everyday stroller. Great price and looks so nice. Love it!!! We got this as our "leave at daycare for nanny"Stroller. Literally only 2 minor complaints. 1. The color is light and I'm nervous the stroller will get dirty and 2. It doesn't handle stairs that well. But you can't beat the convenience and how light it is- oh and last thing the canopy isn't that shady. But for shorter walks or mall trips it's fine. Best UsesThe car The mall The park Anywhere! went to BBB to shop for lightweight stroller and liked Maclaren Quest, compared the price at Albee and it wasn't even close.Albee Baby had unbeatable price and shipping was quick.also great customer service, they had 10% Labor Day sale, which I missed by few days but they were great to honor the 10% discount. I feel I've made the best choice to buy the quest! It's compact, wheels great, has the umbrella fold which makes it the best traveling carriage, and doesn't take up much space in the house. To top it off, the baby is very comfortable! The seat is wide enough and has the extendable foot rest so the baby sleeps better!! GREAT PRODUCT! This stroller is a dream! I have been researching umbrella strollers for a while, I want something lightweight but durable and that's exactly what I got. 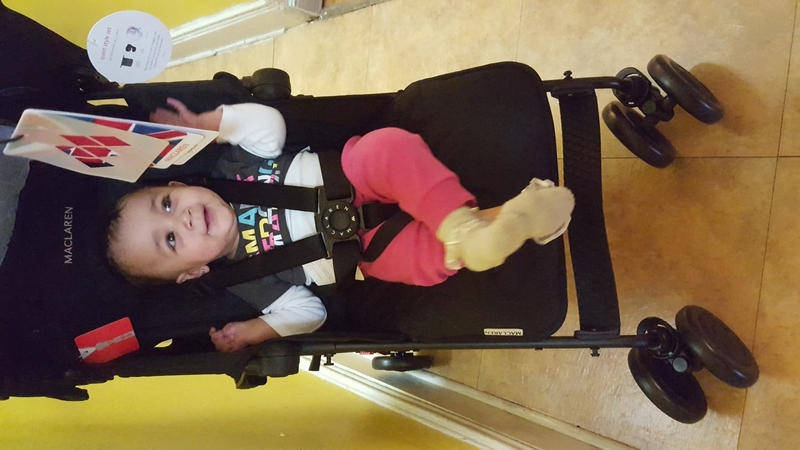 It's extremely functional; I love the way you can recline the seat in multiple positions, it's easy to collapse and open, the turning radius is excellent, and best of all, my daughter loves it. The only drawback for me, which isn't a big one, is that I wish the shade came down a little more. Other than that, this stroller is perfect! Great stroller we use it everywhere . It is great for vacations, the mall, the park. We love it!! Very compact and easy to maneuver. Just wished the canopy was a little bigger. But it's really perfect for what we need it for - as a second stroller. Excellent experience with customer service! Highly recommend this site. Love love love this stroller and the most important my baby loves it even more. Lightweight, comfortable, easy to maneuver and push and has nice storage size. It's great for walks and shopping. ConsNot enough shade from the sun. I love this stroller!! 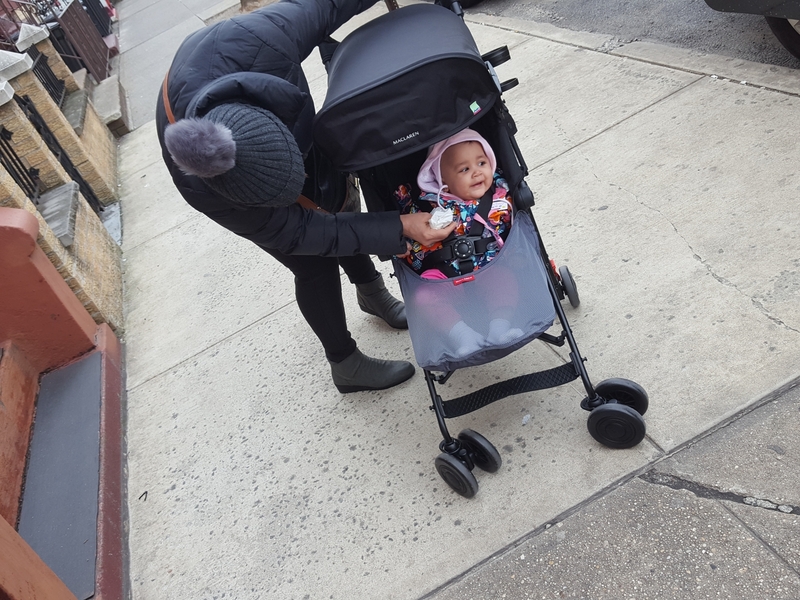 It is a great light weight stroller but it's so durable at the same time. It is easy to collapse the stroller as well. Best investment ever! The stroller came quickly and is super cute. The color is bright and the reflector trim is a really nice extra. Looking forward to many years with our new stroller!! ProsLiving in town and doing lots of walking, the reflector tape is a great safety option and is only visible when the light hits it. Love the red color. Nice rain cover included. I love these stroller light enough for someone my size. I am small 5 ft and a couple of inches. Good to take anywhere and I love this color. Had this brand with my first child and now using the same one with my second. I was originally looking at this stroller on a BigBox Baby website . BigBox store also had 20% off online orders coupon.I like to read reviews on products I buy for my kids....While Googling Reviews for the stroller, Albee came on the top of screen $228. Well wait a minute, That price was way better than the other website and their coupon.Ordering from start to finish was really easy and less than 5 minutes. The price you see advertised is the price you pay!! Free shipping. Fast delivery. I ordered over holiday weekend, and received on Tuesday. Stroller came out of box pretty much ready to use. A few snips of plastic holding cords place your top on and go. Easy folding. About 6 seconds. I watched a few YouTube videos on set up and folding up. Great product. I will be ordering from Albee again. Albee's prices are the best. I got my package within 48 hours, it came pretty fast. Overall this stroller is very light and I love the one hand recline. We purchased it for our 9 month old and living in NYC it's the best. Esty to close easy to lift up & down the subway stairs with our child in it. It's amazing I would definitely recommend it! Love this stroller!! Great price too! Fantastic stroller. We bought it to use with our three month old son when we didn't want to use our giant full size stroller. Rides well and he loves sleeping in it. I love the design and he loves staring at the stripes (stimulating for a newborn). 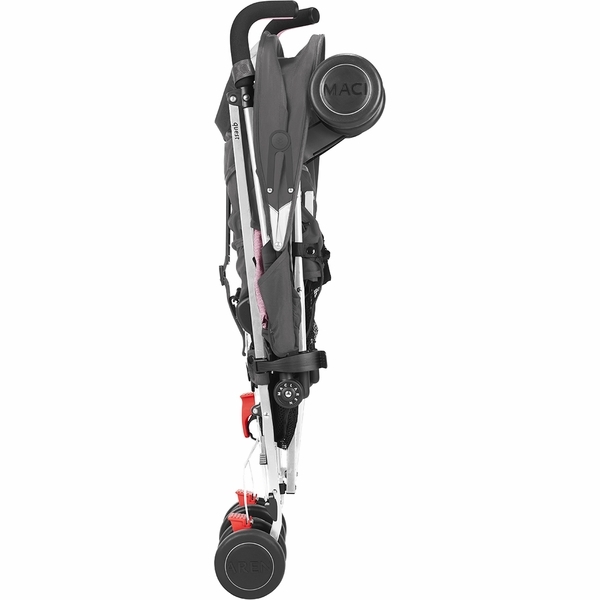 Great compromise between compact umbrella stroller with full-size features like a full recline. Canopy could be bigger but we just drape a swaddle over it when he's asleep. Price and shipping couldn't have been better. Its perfect for my 3y old. Light and still big (with full recline and foot rest). Perfect for the afternoon nap when we are way from home. This is a great Umbrella stroller. It's not too heavy and perfect for those quick trips out with my little guy. It's kind of pricey but thanks to albeebaby I got it on sale at a great price. Very light and turns on a dime. I love the leg rest and pretty much flat recline! My daughter loves it! 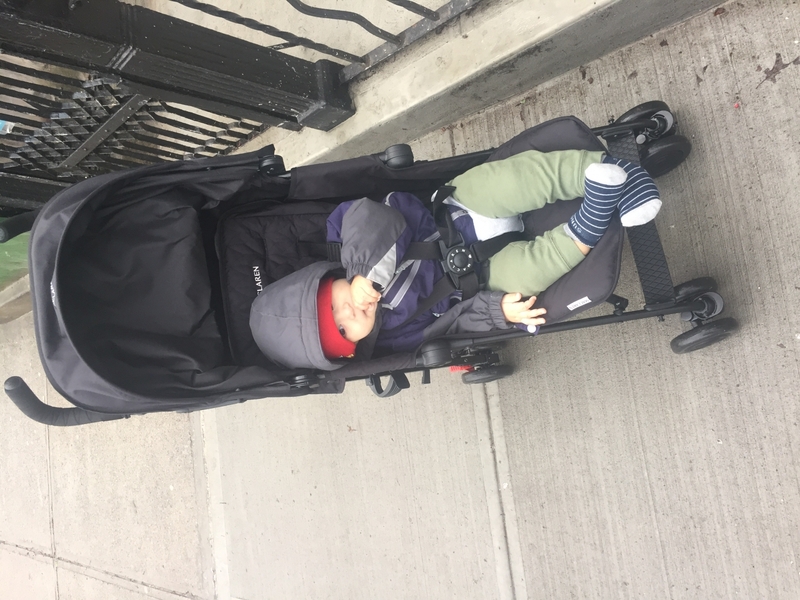 We researched for a travel lightweight strollers for a few months and tested different brands including uppababy G luxe, inglesina, etc and finally decided on Maclaren Quest based on its functions, durability and design. It's lightweight, easy to open/close so it's very ideal for traveling. We got the black and sand stripe pattern it looks nice in person, very sophisticated looking! Our baby enjoys the ride a lot. Highly recommend Maclaren Quest. I bought this stroller for my 11 my old and I love love loveeee it, it's so light weight and extremely perfect for public transportation. 100% satisfied always with mclauren! Thank you Albee baby for quick shipping, I received it within 4 days. ProsExtremely lightweight and easy one hand open & close. Best UsesOn public transportation, long walks, everywhere! The English brand product is nice design, I love the color and also the padding is comfortable. I am surprised of the well design of maclaren quest sport. my baby love this stroller very much. Light weight and sturdy construction.Best to flat down and let new born baby sleeping.Good stroller yo enjoy. This denim storoller is stylish and fit to all kind of fashion. Love it. This stroller is so light and sturdy. I had a Bob before this and I hated using it because it was so heavy and big. I love using this one now! Great stroller . I got it for my 18 month toddler . She loved it from first try . lightweight, extremely easy to fold!! 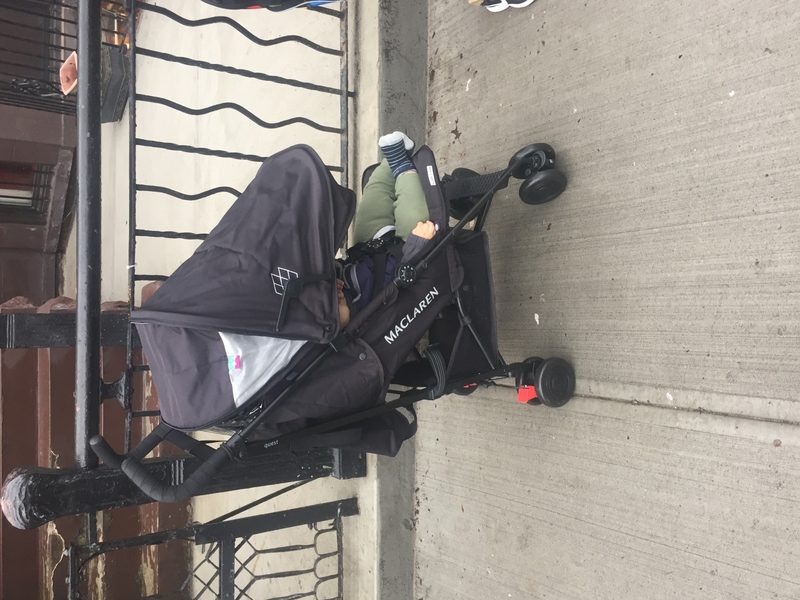 So far I Had this stroller over a week, it moves smoothly, the straps were a little hard to adjust but its doable, the leg support and the back rest are easy to adjust it males my life easier I can travel on the bus now with my son. . Over all it really seems like a good strong stoller. Best UsesTrave on public transportatio , vacation . a little bit heavy for me, and my baby feels hot when walk outside. And one more thing, the wheels is too small, so it's not easy to push when the one-year old baby sits on it. My daughter has 18 months and she loves this stroller. It's very comfortable and praticy to carrier. I got this stroller because it is a good looking stroller and "high end". Stroller is flimsy, the straps on the harness are difficult to adjust, the seat isn't very wide or deep, so my 18 month old toddler is not that comfortable in it. Since it is so lightweight, once you put your baby bag on it, the stroller will topple backwards if baby is not in. The sun canopy is a joke; the sun was always bothering my sun. And the most annoying thing?? 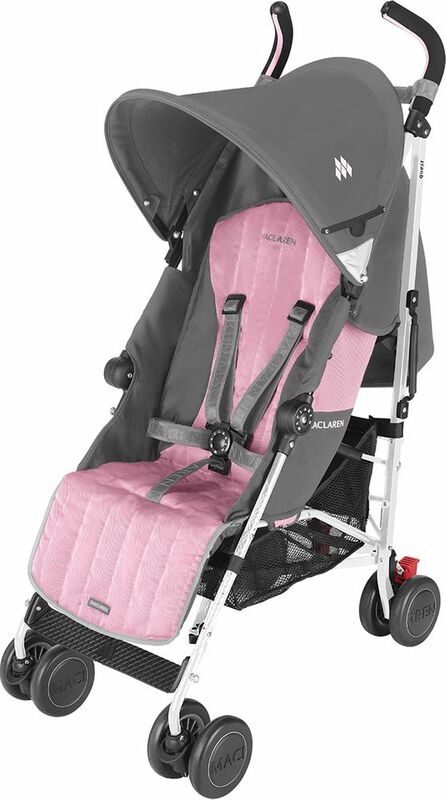 The color is gorgeous ( I got the red ), but once you start folding it up from using it, the wheels will get the inside of the canopy really dirty, so it takes away from the high end look of the stroller. I washed it, and it is easy to take off the canopy to wash it, but you'll be doing it on a weekly basis, and not all of the dirt will come off. Get the black if you still plan on getting this. After about a month of owning, I wish I could've returned it, but I already threw out the box. This stroller is good but not the perfect stroller, in my opinion. For small children, the sun still gets in their eyes and the maclaren sun shade just doesn't look that good and isn't that practical to put on and take off. You cannot reach the storage space if the seat is reclined. Its light-weight and folds up nicely but the sunshade and lack of storage space make it less ideal. 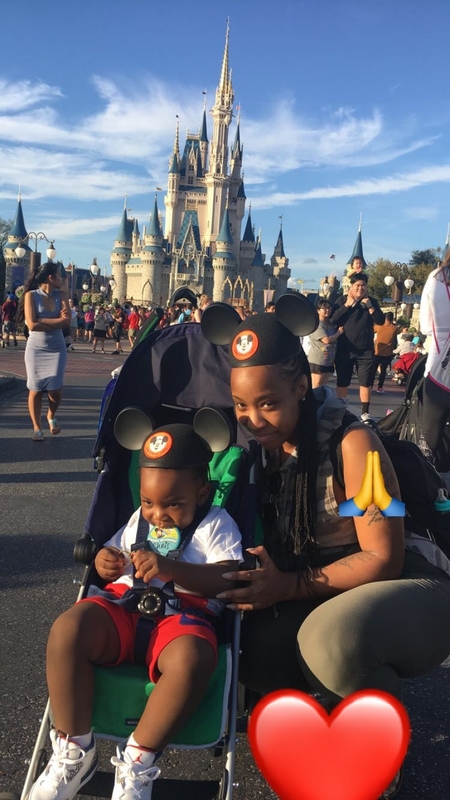 Better to spend less money on a non-reclining umbrella stroller for an older child or buy a different stroller if you want to use it from infancy onwards. Love the design and the quality of this buggy! 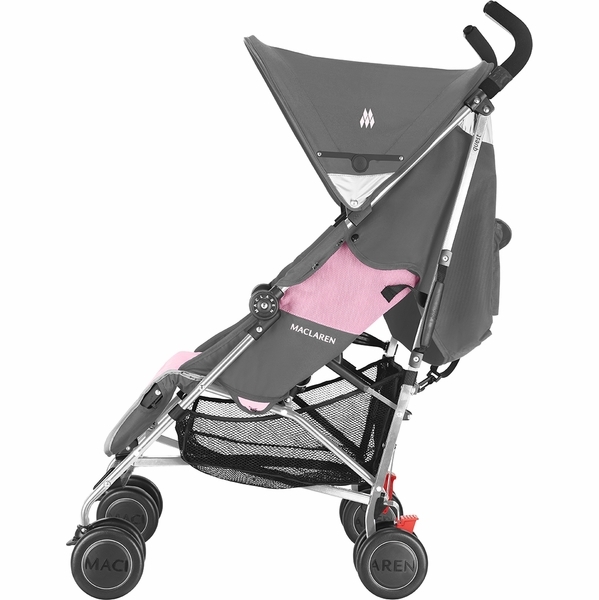 The award-winning Maclaren Quest is popular for its style, comfort, and security. The 5-point harness provides safety, and the cozy padded seat offers a 4-position seat with an extendable leg rest for extra comfort. 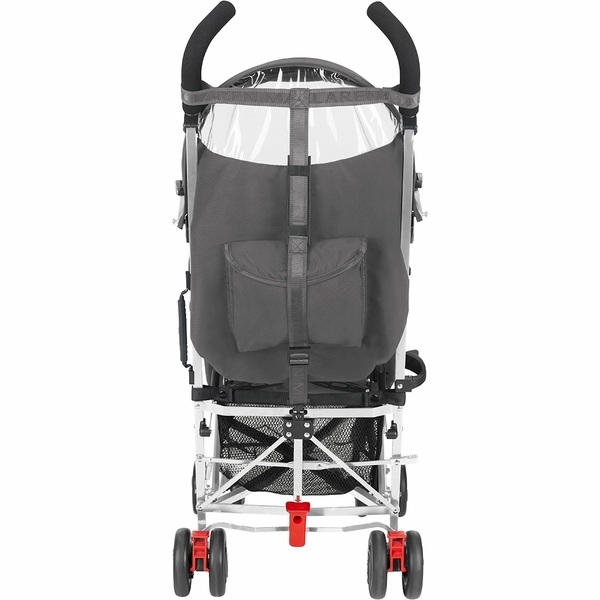 Light, simple to fold, and sturdy enough to handle any busy family's needs, the 6.4kg/14.1lb stroller steers and stores easily, and the raincover provides protection against the elements.